This book review of Anna and the French Kiss shares why I think this book is a phenomenal debut YA novel from Stephanie Perkins. It walks the line between hilarious and emotive, hysterical and hard hitting. If you’re looking for a story that grabs at your heart and holds it with incredible characters, a beautiful setting and many a near miss, you’ll find a home in this story. After many a Tumblr recommendation of this novel, I picked it up in Waterstones and set myself down to read. Anna is about as American as they come – she says it herself. She’s got the look, the attitude, and the accent, and she does not belong in Paris. Forced by her father – an up and coming romance writer – into a school that will look good to his rich friends, she arrives at School of America in Paris. She’s taken away from her mother, her younger brother, her best friend, Bridget, and her almost-boyfriend, Toph. Needless to say, she’s not happy, and she’d give anything to go home. But Paris has some tricks up its sleeve that will make her fall in love – a great new group of friends, a whole load of independent cinemas and an English/French/American boy who she fits with like a jigsaw. The only problem? She’s still waiting on Toph, and St Clair has a girlfriend. It’s sometimes hard to care whether the main couple in a story gets together, especially in a short novel. Sometimes, it’s like there’s not enough time to get to the point where you root for a couple, even if they’re sweet together and well fleshed out characters. But Perkins pays a lot of attention to detail in such a short novel. Every sentence shared between St Clair and Anna draws them closer together. 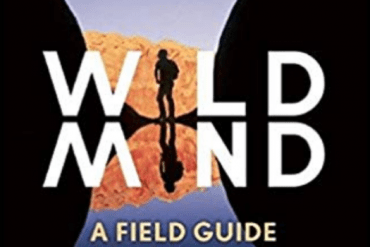 The dialogue in this novel is also particularly good – unlike a lot of young adult novels, the pair of them talk about things outside of relationships and parties. They share intelligent conversations about culture and language and history, which not only shows off their passions but also provides a certain realism to their conversation that many young adult novels lack. Whereas many YA novels can hone in on one subject and never divert from it, Anna and the French Kiss explores a lot of different things – family, relationships, hobbies, culture, and self-discovery. Everyone loves a good teen romance, but this novel takes it a step up. Since the title made me dubious about liking the novel in the first place (I found the title a little childish) it was a surprise to find the book mature and well-written. Again, Perkin’s attention to detail is one of the highlights of this book. She focuses on a small group of characters, but they’re so fine-tuned that they seem like very real people. St Clair and Anna, in particular, have very clear-cut personalities – witty, studious, and – in St Clair’s case – short-tempered. They both have obvious interests too. St Clair talks about his family, art, and history a lot, whereas Anna focuses on her love of film a lot. Josh, St Clair’s best friend, and his girlfriend, Rashmi, are known for their argumentative personalities and love of art, even though they’re not in the novel as much as the others. The only character that really needs more attention is Mer. Josh has his moment in the spotlight in Isla and the Happily Ever After, the third installment in Perkin’s series, but Mer is explored very little, even considering that she is also in love with St Clair and an important part of the other character’s life. At the beginning of the novel, she’s described as sporty, and her fashion choices are mentioned a lot, but there’s not much else to go on. But one thing I can say for the characters is that none of them are perfect – and that’s not a bad thing. They all have their flaws – St Clair’s short temper, Josh’s rebelliousness, Mer’s jealousy, Anna’s sometimes selfish attitude and Rashmi’s cold attitude. Somehow, it makes it a lot easier to love them when they’re capable of making mistakes – it makes them relatable. Perkin’s attention to detail also comes into play a lot for the setting of the novel. Since it’s set in Paris, it provides the perfect opportunity for the reader to do some traveling from the comfort of their own home. Throughout the novel, Anna ticks off the main attractions of Paris, usually in the accompaniment of St Clair – she visits Notre Dame, Point Zero, the River Seine, Jardin du Luxembourg, and several other iconic locations. She often describes the French Opera singer that she can see from her bedroom, and she tries French delicacies such as macaroons. Through Anna, the reader has transported hundreds of miles to a place that can be beautifully observed through her eyes. It’s the kind of novel that will give you wanderlust, and have you booking flights for your next foreign city break. Even though everything about the novel is incredible, the relationship between Anna and St Clair steals the show. Their journey is a wild one that will have you squirming in agony, wishing they’d just get together already. There’s a lot of near misses with them throughout, and while Anna still wonders whether to wait for Toph, it’s hard not to shake her and tell her that her and St Clair are MEANT TO BE. Normally when I read Young Adult novels, I’m not interested in the love story. I’m there for an action-packed plot or good characterization, not lovey-dovey rubbish. 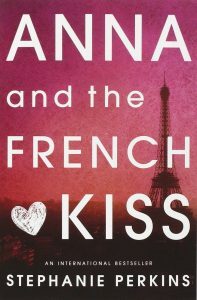 But with Anna and the French Kiss, I was totally there for the romance. The chemistry between Anna and St Clair is unrivaled in any book I’ve ever read, apart from possibly Fangirl by Rainbow Rowell. Anna and St Clair constantly bicker and get jealous of one another and their love lives, and it’s kind of like torture. But good torture. Kind of. As a Young Adult novel, it’s one of the best. It’s definitely up there with the likes of John Green’s The Fault in Our Stars and Rainbow Rowell’s Eleanor and Park. However, the story is definitely on the lighter side in comparison. Though there are some very touching moments, Anna and the French Kiss is much more about coaxing out laughs, not tears. But that’s not to say it’s worth any less – this novel will have you turning page after page. You’ll be up until 4 am trying to finish it, and then wishing you’d savored it’s sugar sweet flavor a little longer. I don’t say this often, but this book is a must buy, a must read, and a must re-read. Unconvinced? Read the sample on Amazon. It’ll be love at first sight. If Anna and the French Kiss warms your soul in the same way it did mine, there’s two follow up stories – Lola and the Boy Next Door and Isla and the Happily Ever After. Though Anna and St Clair are not the main focus of them, there’s a whole new cast of interesting characters and host of new plot twists to sink your teeth into. Hi! i just finished reading Anna and the French Kiss and your review is bang on! It was a complete romance based book with not much dramatic stuff happening. It felt like a story that can happen in any one of our lives! You have got a great book blog here!